The aspiring candidates should check for the eligibility criteria before filling the application form. 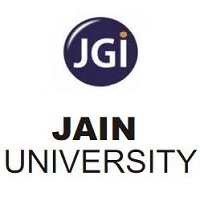 The eligibility criteria for JET 2019 is set by the Jain University. Candidate have to fulfil the criteria to appear in JET 2019 Exam. The admit card will be provided only to the eligible candidates who have filled the application form correctly. Candidates can download their admit card from the official website after entering the registration number and date of birth. More details about the admit card can be known from the JET 2019 Admit Card section. Admission: The candidates appearing for JET 2019 must satisfy certain eligibility criteria to get admitted to the university. Authority: These criteria are laid down by the Jain University. If any of the candidates do not satisfy the criteria, he/she would not get admitted to the university. Qualification: Applying candidate must have passed class XII /PUC or equivalent exam from CBSE or equivalent board in any stream with Physics, Chemistry, Mathematics as mandatory subjects. Marks: Candidates must have an aggregate of 60% or above. In the case of SC/ST, eligibility will be relaxed up to 5% i.e. 55%. 12+: Candidates who have completed the 12th or equivalent exam and also candidates waiting for their 12th results can also apply. 12+: Students must have completed their PUC/12th or equivalent exam from any board recognised by the Government of India. Marks: Candidates must have an aggregate of 60% or above in class XII. In the case of SC/ST, eligibility will be relaxed up to 5%. Marks: Applying candidate must have an aggregate of 50% in Bachelor’s degree in any discipline without any backlogs. Work experience: For executive programs in MBA, work experience is required. Final year: Students appearing for the final semester/year can also apply for JET 2019. Entrance exams: Students with 500 marks in GMAT/MAT or with a minimum of 70 percentile in CAT/ XAT/ CMAT may also apply. Students without a valid score from competitive exams must write JET 2019 to be eligible for the PG programs. For eligibility criteria of the SC/ST category, please contact the Admissions Office. The candidates should be physically fit. In case of any medical issues, the candidate has to clearly mention about the same during the admission process.